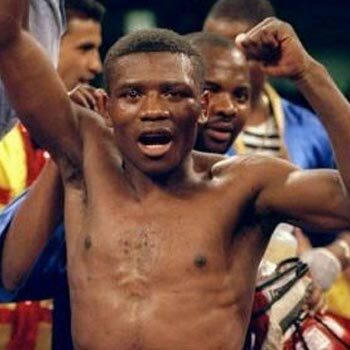 JOHANNESBURG – One of South Africa’s most outstanding fighters in recent years, Moruti Mthalane, will make the second defense of his IBF flyweight belt against Japan’s Masayuki Kuroda at the Korakuen Hall in Tokyo on May 13. The 36-year-old Mthalane fights out of the Colin Nathan gym, and has been fighting as a pro for more than 18 years. He won the IBF flyweight belt for the first time in November 2009 in a clash with Julio Cesar Miranda, and made four successful defenses of the belt before relinquishing it. One of his defenses was a fifth-round technical knockout win over Zolani Tete, who would go on to win the WBO bantamweight belt, and now meets Nonito Donaire in the semi-final of the lucrative World Boxing Super Series on April 27 at the Cajundome in Lafayette, Los Angeles. Mthalane has a record of 37-2; 25, with his only losses coming against Nkqubela Gwazela in September 2004 and Donaire in November 2008. The 32-year-old Kuroda 30-7-3; 16 is a seasoned 14-year pro and is ranked at No 4 by the IBF (No 1 and 2 are not rated), so he is considered the second-best flyweight according to the IBF rankings. Kuroda has held the Japanese light-flyweight and flyweight titles on several occasions, and even though he has seven losses on his record, only one has been inside the distance. His last defeat was against Takuya Kogawa in March 2016, and he is now on a six-fight unbeaten streak. The other main organization champions are WBC’s Charles Edwards (England), WBO’s Kosei Tanaka (Japan) and WBA’s Artem Dalakian (Azerbaijan).